In the most recent data for 2014, rentals made up nearly 55 percent of city dwellings. 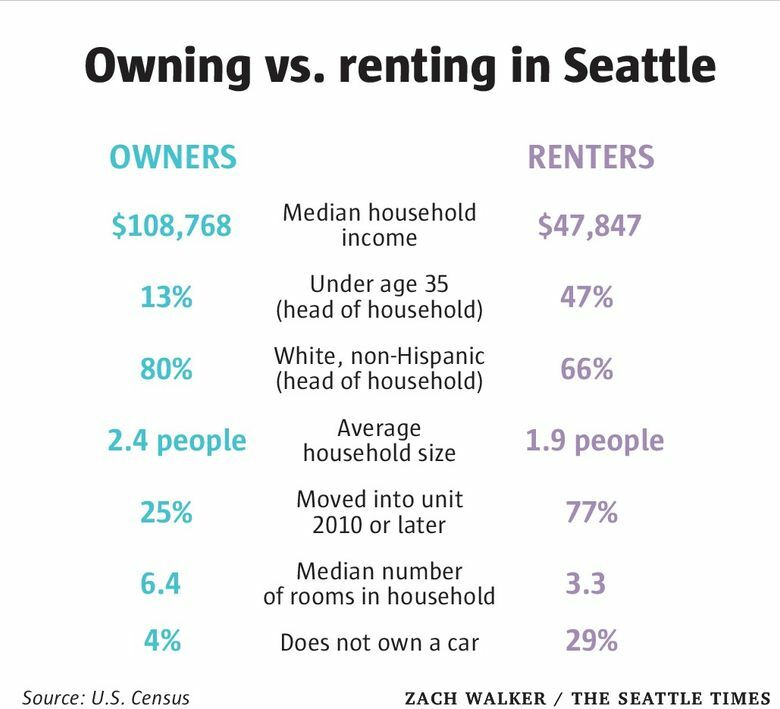 But most Seattle residents still live in owned homes — about 25,000 more than live in rentals. 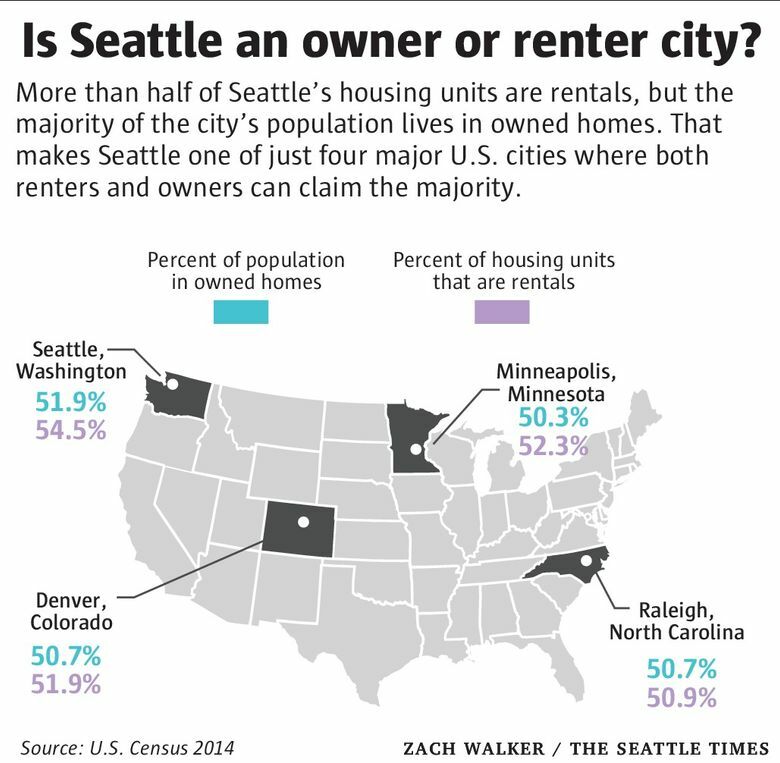 Has Seattle become a majority-renter city? That claim arose during a news conference held last month in which Mayor Ed Murray announced he would cut ties with the 13 district councils that represent neighborhoods in city government. A memorandum from the city’s Department of Neighborhoods noted the councils do not reflect Seattle’s population — for example, most participants are homeowners, even though 52 percent of Seattleites are renters. That statistic was widely reported in local media — but it’s not exactly true. The data come from the 2010 Census, which showed that 52 percent of the city’s housing units are rentals. Rental units became the majority in 2009 and continue to increase their share of Seattle housing. In the most recent data for 2014, rentals made up nearly 55 percent of city dwellings. While we’re moving to become a majority-renter city, that doesn’t mean homeowners are in the minority just yet. That’s because it’s also true that most Seattle residents still live in owned homes — about 25,000 more than live in rentals. So more people live in owned homes, but more homes are rentals. It may sound paradoxical at first, but it simply boils down to household size. Apartments, on average, have fewer occupants than owned homes. In fact, more than half of rental units in Seattle have just a single tenant — among major U.S. cities, only Atlanta has a higher percentage. Owned homes, on the other hand, are more likely to house families. And that means in Seattle, both renters and homeowners can claim the majority, depending on which data you use. That’s an unusual situation. Among the 50 largest U.S. cities, only three others are similarly positioned: Minneapolis, Denver and Raleigh, N.C.
All the other cities have clear-cut majorities. Miami tops New York as the No. 1 renter city — it’s the only city where more than 70 percent of the population live in a rental. Virginia Beach, Va., is the most heavily skewed toward homeowners — two of three residents live in an owned dwelling.